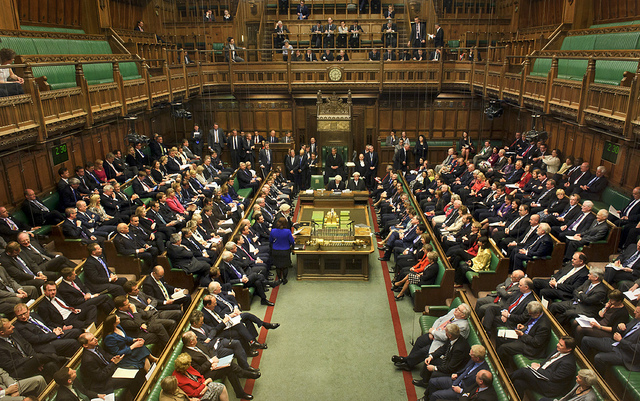 In June 2013 a number of Members of Parliament (MPs) in the United Kingdom (UK) signed an Early Day Motion calling for therapy to help those with unwanted homosexual feelings to overcome them to be excluded from therapies offered from the National Health Service (NHS) (an Early Day Motion is a request for Parliament to discuss an issue if they finish the day’s business early). The basis of this motion is an article from the UK’s Independent newsletter where a gay rights activist, and founder of the Facebook group Stop Conversion Therapies (SCOT), deliberately entrapped a counselor claiming that he wanted to overcome unwanted homosexual feelings and then misquoted the therapist in his article, an article that won him a number of media awards despite him calling for violence against those who offer this type of therapy. This motion is supported by one of the UK’s largest professional bodies for psychological therapists, the United Kingdom Council for Psychotherapy (UKCP) who have the rule that to offer a client sexual orientation change effort (SOCE) therapy is an act of gross misconduct even if the client requests that therapy. The UKCP also state that if a client expresses that they have a conflict between their beliefs and their homosexual feelings the therapist must tell the client that they can not help them and refer them to someone who will attempt to take them through therapy to accept their sexual orientation if they are not qualified to do so themselves, thereby violating the basic principle underpinning all psychological therapy of the client’s right to self-determination. Yet, when looking into the issue of SOCE, the American Psychological Association (APA) defended the right of the client to undergo this type of therapy despite the APA refusing to accept any research supporting SOCE as helpful and successful. The UKCP and the British Association for Counseling and Psychotherapy (BACP), who also consider offering a client a SOCE as an act of gross misconduct, use the APA report to support the position but ignore the defense of client’s rights. Over the last five years there has been a gradual eroding of the client’s right to self-determination when it comes to unwanted homosexual feelings across Europe, and particularly within the UK, with the British Medical Association (BMA) agreeing to a motion condemning therapy to overcome unwanted homosexual feelings. This motion was proposed by a junior (trainee) doctor who was a student at the same university where the founder of the Gay and Lesbian Special Interest Group at the Royal College of Psychiatrists in the UK is head of psychiatric medicine, and who was on the Labour Party’s think tank concerning the NHS. Thankfully a large number of doctors and mental health professionals disagreed with the BMA motion and, if we can convince them to speak out, will oppose the Early Day Motion in Parliament. Knowing all this, I have written to the MP’s asking to meet with them to discuss the Early Day Motion and to present the facts in the hope that they will remove their support. This entry was posted in Uncategorized and tagged Early Day Motion, Homosexuality, Sexual Orientation Change Effort therapy, SOCE, Stop Conversion Therapies, UK Parliament, United Kingdom Council for Psychotherapy on 2013-07-11 by VoV Contributor.